Kofi A. Boateng joined West Harlem Development Corporation as its first Executive Director in April 2012. He is a Certified Public Accountant and his doctorate dissertation was nominated for a Best Award. The topic was “Modeling External Capital Inflows and Economic Growth in Africa Utilizing Ordinal Logistic Regression.” An entrepreneur, he founded Traders International Inc. and Rising Sun Financial Services, Inc. Prior to WHDC, Dr. Boateng was the COO and acting CEO of the World Trade Centers Association where he oversaw activities in 95 countries. He has served as COO of The Africa America Institute and as the Executive Director of National Puerto Rican Forum where he turned around the organization from insolvency with no program revenue and only a staff of 3 into a $35 million-funded project with 110 employees within five years. He had previously worked for Prudential Insurance Company and KPMG. He is a graduate of Yale, Northeastern and Walden Universities. Dean C. Morris joined West Harlem Development Corporation as the Director of Programs on August 15, 2012. Dean has worked in the non-profit arena for over a decade. His most recent employer was Ford Foundation where he worked for nearly six years. At Ford, Dean coordinated grant-making and programmatic activities in the Freedom of Expression Unit with a focus on ethnic media. Dean also served as Program Officer for Education as a member of Ford Foundation’s Good Neighbor Committee that oversaw grants to organizations whose missions were to increase economic opportunities for underrepresented communities. 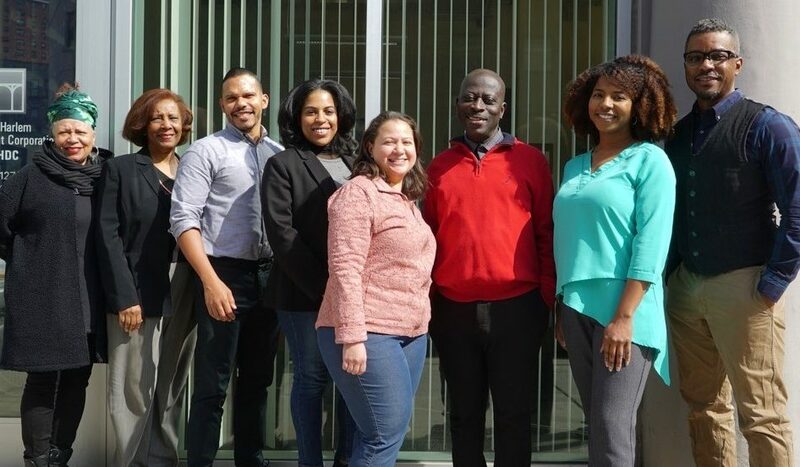 In addition to grant-making, Dean has worked for community organizations that provided direct services such as the Liberty Partnerships Program at Fordham University, a mentorship program for at-risk youth, and Sequoia Community Initiatives, a transitional housing management organization. At Sequoia, he served as an Ombudsman and advocate for people coping with homelessness, mental illness, and substance abuse. Dean has a certificate in Mediation and Conflict Resolution and a Master’s degree in Organizational Change Management from Milano – The New School for Management & Urban Policy in New York, NY. Ariel Quinones is a native Puerto Rican and a proud West Harlem’s CD9 resident since 2003. He joined WHDC as a graduate intern on September 3, 2013, and was subsequently hired as Associate Manager of Programs on May 19, 2014. Prior to joining WHDC, he served as Community Liaison Intern at Councilmember Robert Jackson’s community office in West Harlem. Ariel holds a Master’s degree in Public Administration from City College’s Powell School for Civic and Global Leadership. He served as managing director for Diversity in Arts and Nations for Cultural Education (DANCE), a Bronx based arts organization, for six years. At DANCE, he expanded the organization’s outreach initiatives by launching the Arts in Education program in 2008 and the Annual South Bronx Folk Festival in 2010, and currently serves as an active member of its Board of Directors. In addition, Ariel holds a bachelor’s degree in Dance from Hunter College, and has trained and performed in Puerto Rico, US, Cuba and Brazil. Cynthia started working for West Harlem Development Corporation on October 11, 2016 as the Administrative Assistant. Cynthia has worked as a Teacher and Office Manager at a private school on the Upper West Side. Cynthia attended Antioch College in Yellow Spring, Ohio. She enjoys going to the theater and watching films. She is a wife and a mother to an 18 year old daughter. Migdalia Rodriguez joined West Harlem Development Corporation as the Manager of the West Harlem Skills Training Center on August 22, 2016. Migdalia is a Certified Workforce Development Professional with over thirty years of workforce, community outreach and entrepreneurship development experience. Prior to joining WHDC, she was employed as Senior Manager at St. Nicks Alliance Workforce Development where she worked for nearly five years. Throughout her career she has also demonstrated her capacity as an event planner, motivational speaker and consultant to community leaders and artists. She currently also serves as President of United Coalition of Blocks Association in Brooklyn and is a member of the Brooklyn Women Coalition, National Council of Jewish Women, NAACP, International Association of Reiki Professionals. She is bilingual in English and Spanish. Yolène Legrand joined West Harlem Development Corporation in May 2016 as the Manager of Finance overseeing the organization’s fiscal budget, financial reports, monitoring accounts, and preparing activity reports and financial forecasts. Although she originally studied business in college and went on to receive a Master’s degree in Finance from NYU Stern Business School and pursue a successful career in International Banking for nearly two decades, her passion for art always remained strong. Ms. Legrand is also a renowned artist who hails from Haiti. Her paintings have been exhibited in many galleries and museums in the US, Europe and Haiti and are included in many private and corporate collections. Alicia Barksdale joined West Harlem Development Corporation as the Arise! SYEEP Program Manager in 2017. Ms. Barksdale is a long-time resident and community advocate in the West Harlem community and has served her community both in the private and public sector for more than two decades. Her committment and involvement in the West Harlem community has provided support to residents in MCD9 through initiatives that helped improve affordable housing, workforce development and tenant advocacy. She brings tenacity, discipline and community awareness to the Arise! SYEEP program which has made this program a success since its inception in 2017.